Quarter Master Clutch Service Kit UNIVERSAL - Dezod Motorsports Inc - Home of the automotive performance enthusiast since 2002. During inspection, racers and builders examine the friction discs but often overlook the importance of the pressure plate and floater plates contained within the housing. While these parts don’t suffer as high of a wear rate as the friction disc, they are still susceptible to wear. Because reliability is paramount in motorsports, without full attention to all of the components within the unit, you may be doomed to the sidelines prematurely. 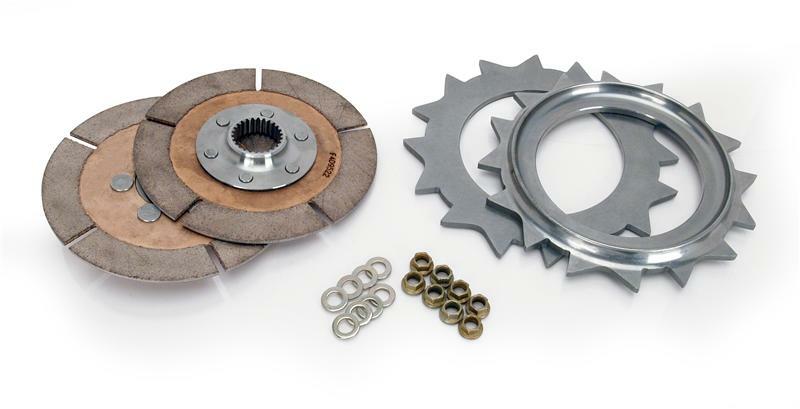 To avoid these failures, Quarter Master® created service kits for their extensive line of 5.5” and 7.25” multi-disc clutches. These service kits allow you to change your used internal components, which will increase the holding capacity of the clutch, improve pedal feel and drivability and increase torque capacity. These kits include the appropriate disc packs with the latest friction material, floaters, pressure plates, flange nuts and washers for each application. An affordable option to replacing a clutch, service kits are a great way to ensure competitiveness on the track.